The city has been working in recent month on short term moves, and long term planning to improve what they are calling the Greater Kennedy Plaza area. That work has begun to manifest itself over recent weeks. On Thursday’s in recent weeks, food has been served in Burnside Park. Today, the Thursday event was expanded to become Market Bazaar Thursdays (see photo above) described as: Delicious food, antiques, books, accessories, art, merchandise and fun! Market Bazaar Thursdays run from 11:00am to 7:00pm every Thursday along the Kennedy Plaza side of Burnside Park. We’ve also been seeing incremental steps towards better infrastructure and upkeep in the area. 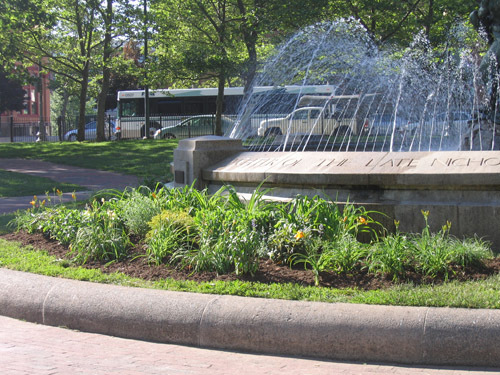 Above we see new plantings around the fountain in Burnside Park, also in Burnside the benches were recently refurbished. The Yellow Jackets of course continue there work keeping Downcity clean and maintaining planting beds. 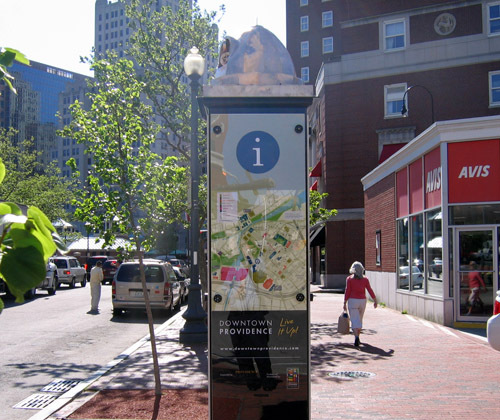 The DID also installed these maps (well, I’ve only actually seen the one), showing the Downcity area to passersby. 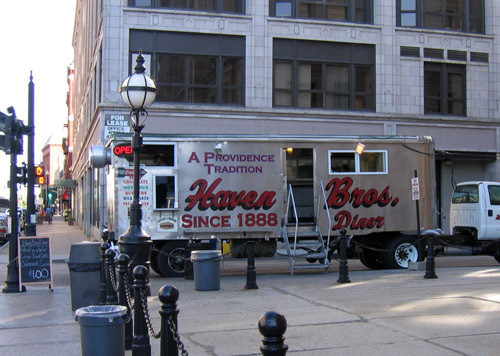 As always, Haven Bros. remain a fixture in the Plaza. 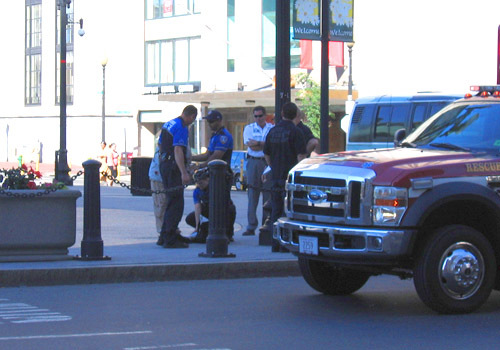 …people who many classify as “undesirables.” This gentleman seemed to have had a little too much to drink/smoke. It is good to see an effort made to improve Kennedy Plaza and attract more people to the area. I hope it works and the city maintains its commitment to the steps it has made so far, and more long term changes which will make the Greater Kennedy Plaza area the vibrant urban space it should be.